Welcome to the little railways of Wales. Let a scenic steam train transport you through the beautiful Welsh countryside. All aboard for a great little day out. 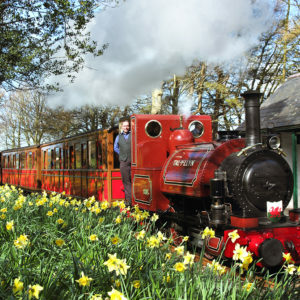 Experience the beautiful Welsh countryside: on little railways that are passionate about providing a warm welcome and an amazing experience. Take your time as we transport you on a relaxed journey, an ideal little excursion. Rheilffordd Llyn Tegid (Bala Lake Railway), a 9-mile return journey alongside Bala Lake in Snowdonia National Park. All trains start and finish at Llanuwchllyn station with its café, locomotive sheds and heritage centre. The steam railway that runs high into the Brecon Beacons on a 10-mile round trip, surrounded by superb scenery. Travel from Pant near Merthyr Tydfil along the beautiful Taf Fechan Reservoir to Torpantau. For over 100 years this railway has connected Fairbourne with the sea at Barmouth Ferry. Experience the beauty of the Mawddach Estuary on this miniature (12.25-inch gauge) coastal railway. Ride all day with a Day Rover ticket. From the new £1.25 million two-platform layout at Harbour Station, Porthmadog, travel to Tan-y-Bwlch Station. Then onwards to Blaenau Ffestiniog. 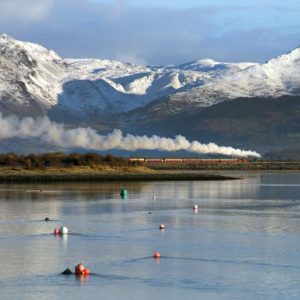 Connect with the Welsh Highland Railway for 40 unbroken miles of adventure. Situated in the heart of Snowdonia, the heritage steam locomotives take you on a five-mile return journey alongside Llyn Padarn lake, in the heart of Snowdonia. All tickets are for return travel. The world's first preserved steam railway. Steam through the charming Fathew valley in Snowdonia National Park. The journey covers more than seven miles of spectacular scenery within sight of one of Britain’s highest mountains, Cadair Idris. Travel on the Vale of Rheidol Railway and explore the stunning Rheidol Valley. Opened in 1902, the railway has been delighting passengers young and old for over a century. The train climbs 700ft (200m) in the 11.75 miles from Aberystwyth to Devil's Bridge. Starting from beneath the castle walls in historic Caernarfon, the railway climbs to the foot of Snowdon before dropping again to sea level at the harbour in Porthmadog. 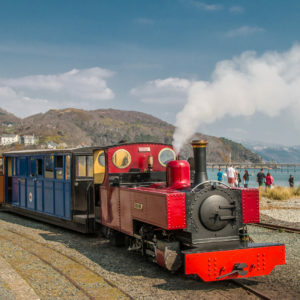 Connecting with Ffestiniog Railway, experience 40 unbroken miles of adventure. The Welsh Highland Heritage Railway offers you three experiences for the price of one: a train ride, a miniature railway and an interactive museum, with tickets valid all day. Journey from Porthmadog to Pen y Mount. Linking the market town of Welshpool to the rural community of Llanfair Caereinion, this narrow gauge steam railway has tight curves and steep gradients. A 16-mile return journey through the beautiful Mid-Wales countryside. For additional information on individual railways please go to the ‘railways’ page.